This assembled list of games like ArcheAge offers a collection of alternatives with a similar focus on sandbox gameplay blended with MMO. 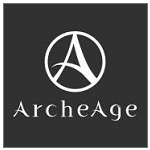 ArcheAge launched in late 2014, attempting to blend the increasingly popular sandbox genre with the traditional MMORPG. Focusing on taking away the shackles of the genre by offering a game free from predefined paths, using a core four races and combining this with over 100 classes and skillsets ArcheAge definitely isn’t short on freedom. The real sandbox elements though are hiding beneath the surface though with farming, housing, crafting, economy, criminal justice system, PvP, PvE and other game elements allowing players to truly shape the world around them. The world of ArcheAge is well respected as one of the most fully fleshed out and vibrant in the genre and even offers players the ability to set sail both for exploration and combat purposes. Fan favourites include the crafting system which is more extensive than most with thousands of items from the usual equipment and food to furniture for player owned houses. These houses are not only highly customisable but also designed closely with the farming and guild system. From a farming perspective housing allows players to access farm land where animals and crops can be grown. While guilds can build (and defend) castles that claim ownership over housing areas. The MMO games similar to ArcheAge featured here have a similar focus on player control, with plenty of depth these experiences will capture your attention as you get pulled into their unique and vibrant game worlds.